Spring has arrived, and with it the last course of the semester: Big Game Project! This is a course that allows us students to work on creating a part of a game (a so called Vertical Slice), that we then can show to other people and be like: "hey, if you like this we can make more of it, so that's why you should give us all of your ca$h". "What if there was A Game That Would Make Me Sleep Better...? ...a game that I could play before going to bed, which might actually make me sleepier? I wonder if there are any games like that..."
So I gathered up a crew, and now we're making one, and it's called Nudibranch! This is my Personal Blog during this project, and you can also find our developer's blog here! 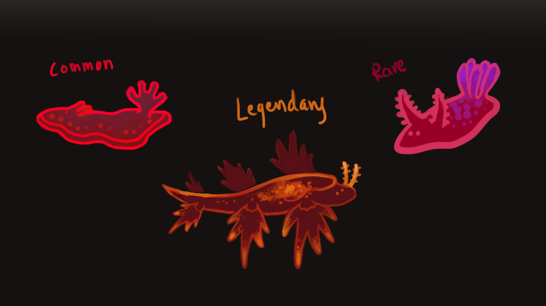 Above: Concept images of Nudibranchs.